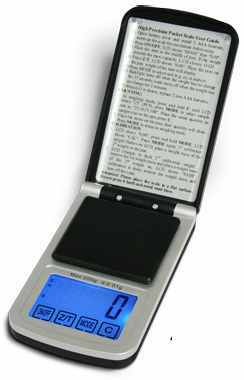 Very accurate and highly versatile professional pocket scale, with TOUCH technology. Counting and unit of measure conversion function. Blue backlit LCD display with 5 digits, TOUCH technology and 4 function keys. Power supply: 2 fitted extractable batteries of the 1,5 V AAA type. Packaging: 125x76x30mm size - approximate weight of 134g.